The Armed Forces of the Republic of Poland (Polish: Siły Zbrojne Rzeczypospolitej Polskiej, abbreviated SZ RP; popularly called Wojsko Polskie in Poland, abbreviated WP—roughly, the "Polish Military") are the national armed forces of the Republic of Poland. The name has been used since the early 19th century, but can also be applied to earlier periods. The Armed Forces of the Republic of Poland are the Wojska Lądowe (Polish Land Forces), Marynarka Wojenna (Polish Navy), Siły Powietrzne (Polish Air Forces), Wojska Specjalne (Polish Special Forces) and Wojska Obrony Terytorialnej (Polish Territorial Defence Force) which are under the command of the Ministerstwo Obrony Narodowej Rzeczypospolitej Polskiej (Ministry of National Defence of Poland). From 2002 until 2014, Polish military forces were part of the Coalition Forces that participated in the ISAF mission in Afghanistan led by NATO. Poland's contribution to ISAF was the country's largest, since its entrance into NATO. Polish forces also took part in the Iraq War. From 2003 to 2008, Polish military forces commanded the Multinational Division (MND-CS) located in the South-Central Occupation Zone of Iraq. The division was made up of troops from 23 nations and totaled as many as 8,500 soldiers. engaging in international crisis response operations led by NATO, the EU, the UN, and as a part of emergency coalitions. The List of Polish wars chronicles Polish military involvements since the year 972. The present armed forces trace their roots to the early 20th century, yet the history of Polish armed forces in their broadest sense stretches back much further. After the partitions of Poland, during the period from 1795 until 1918, Polish military was recreated several times during national insurrections that included the November Uprising of 1830, and the January Uprising in 1863, and the Napoleonic Wars that saw the formation of the Polish Legions in Italy. The Kingdom of Poland, being part of the Russian Empire with a certain degree of autonomy, had a separate Polish army in the years 1815–1830, which was disbanded after the unsuccessful November Uprising. Large numbers of Poles also served in the armies of the partitioning powers, Russian Empire, Austria-Hungary (before 1867 Austria) and Germany (before 1871 Prussia). However, these powers took care to spread Polish soldiers all over their armies and as a rule did not form predominantly Polish units. During World War I, the Polish Legions were set up in Galicia, the southern part of Poland under Austrian occupation. They were both disbanded after the Central Powers failed to provide guarantees of Polish independence after the war. General Józef Haller, the commander of the Second Brigade of the Polish Legion, switched sides in late 1917, and via Murmansk took part of his troops to France, where he created the Blue Army. It was joined by several thousand Polish volunteers from the United States. It fought on the French front in 1917 and 1918. The Polish Army was recreated in 1918 from elements of the three separate Russian, Austro-Hungarian, and Prussian armies, and armed with equipment left following World War I. The force expanded during the Polish–Soviet War of 1919–1922 to nearly 800,000 men, but then was reduced when peace was reestablished. At the onset of World War II, on 1 September 1939 Nazi Germany invaded Poland. Polish forces were overwhelmed by the German attack in September 1939, which was followed on 17 September 1939 by an invasion by the Soviet Union. Some Polish forces escaped from their occupied, divided country, and joined Allied forces fighting in other theatres while those that remained in Poland splintered into guerilla units of the Armia Krajowa ("Home Army") and other partisan groups which fought in clandestine ways against the foreign occupiers of Poland. Thus there were three threads to Polish armed forces from 1939; the Polish Armed Forces in the West, the Armia Krajowa and other resistance organisations fighting the Germans in Poland, and the Polish Armed Forces in the East, which later became the post-war communist Polish People's Army (LWP). The Polish Armed Forces in the West comprised army, navy, and air force units, and were loyal to the Polish government-in-exile. Army formations and units included the Polish Army in France (1939–1940), the Polish I Corps in the West, the Polish II Corps, and the rump Command in the Middle East that was briefly designated the III Corps. Amongst their most notable operations were the actions of the 1st Armoured Division at Mont Ormel, during the Normandy campaign, the Battle of Monte Cassino (Operation Diadem) scaling of the mountain by elements of II Polish Corps, and actions during the Battle of Arnhem by the 1st Polish Parachute Brigade. 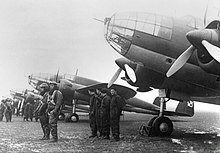 The Polish Air Forces in France and Great Britain numbered fifteen squadrons under Royal Air Force and Army Air Corps operational control, as well as units under the direction of the French Air Force. The Polish Air Force fought in the Battle of France as one fighter squadron (GC 1/145), several small units detached to French squadrons, and numerous industry defence flights (approximately 130 pilots, who achieved 55 victories at a loss of 15 men). Naval units comprised three destroyers of the Polish Navy that had escaped from Poland under the Peking Plan to fight alongside the Western allies from Britain, as well as many other vessels that later came to be manned by Polish crews under Royal Navy auspices. These vessels included the cruisers ORP Dragon and Conrad, seven destroyers, three Type II Hunt class destroyers, and five submarines. What later became the communist LWP was formed during the Second World War as the Polish 1st Tadeusz Kościuszko Infantry Division, also unofficially known as the Berling Army. The majority of officers were Polish. The first Polish force formed in the USSR, the Anders' Army, had by that time moved to Iran. Polish forces soon grew beyond the 1st Division into two major commands—the First Polish Army (Berling's) and the Polish Second Army (commanded by Karol Świerczewski). The Polish First Army participated in the Vistula–Oder Offensive and the Battle of Kolberg (1945) before participating in its final offensive with the Battle of Berlin. The Polish Second Army served under command of the Soviet 1st Ukrainian Front in 1945 and fought in the vicinity of Bautzen and Dresden. In the east these two armies were supported at times by Polish air units, part of the Air Force of the Polish Army. The communist-aligned Polish military formation was the People's Army of Poland, formed in the Soviet Union and partially integrated with Red Army formations. It became the core of the armed forces of post-war Poland. It was known officially as the Armed Forces of the Republic of Poland from 1945 to 1952 (the same as the current name), and Armed Forces of People's Republic of Poland from 1952 to 1990, reflecting the country's name change from Republic of Poland to People's Republic of Poland. The first postwar Minister of National Defence was Marszałek Polski Michał Rola-Żymierski, promoted by Stalin's order to the rank of Marshal of Poland on 3 May 1945. However, Michta writes that while the 'army was formally under Zymierski's command until 1949, it was ultimately controlled by two Soviet officers, Generals Korczyc and Poplawski.' From 1949 to 1956 the Polish armed forces were under the command of Zymierski's successor as Minister of National Defense, Marshal of the Soviet Union Konstantin Rokossovsky, who was given the additional title Marshal of Poland. Rokossovsky was succeeded by Marian Spychalski, who was released from prison to take the post. The People's Army of Poland was prepared to defend the country against a possible new invasion from the West (based on the plan by Stefan Mossor). It was increasingly tied into the Soviet structures. This process was however stopped in the aftermath of the Polish October in 1956, however, and brigades and regiments began to be formed in the engineering, artillery and communications arms. 1954 would see the Air Force and the Air Defense Forces merged into the Polish Air and National Air Defense Forces, a process that would last till 1962 (this would happen again in 1990). After the war the Polish Army was reorganized into six (later seven) military districts. These were the Warsaw Military District, headquarters (HQ) in Warsaw, the Lublin Military District, HQ in Lublin, the Kraków Military District, HQ in Kraków, the Łódź Military District, HQ in Lodz, the Poznań Military District, HQ in Poznan, the Pomeranian Military District, HQ in Torun, and the Silesian Military District, HQ in Katowice, created in autumn 1945. They were later reduced to four, then three and later into the two military districts active as of 2011. Until the fall of communism the army's prestige continued to fall, as it was used by the communist government to resettle ethnicities immediately after the war (Operation Vistula), and to violently suppress opposition several times, during the 1956 Poznań protests, the 1970 Polish protests, and during martial law in Poland in 1981–1982. The LWP also took part in the suppressing of the 1968 democratization process of Czechoslovakia, commonly known as the Prague Spring. That same year Marshal of Poland Marian Spychalski was asked to replace Edward Ochab as chairman of the Council of State, and General Wojciech Jaruzelski, at that time the Chief of the General Staff, was named to replace him. Michta argues that Jaruzelski, as a known Soviet loyalist, reflected the Soviet decision to 'put a trusted group of officers in control of one of the least trusted armies in the Warsaw Pact forces.' The command post for the 1968 Warsaw Pact invasion of Czechoslovakia was actually located on Polish soil, at Marshal Ivan Yakubovsky's Legnica headquarters. In 1953 Poland began to make contributions to peacekeeping operations, initially the Neutral Nations Supervisory Commission on the North Korean/South Korean border, where it maintained personnel until 1995. From 1953 to 1973 Poland military and civilian personnel also took part in the International Commission for Supervision and Control in Indochina and the International Group of Observers in Nigeria. Poland has maintained for decades a long-standing commitment to the United Nations Interim Force in Lebanon (500 personnel). The Polish Armed Forces took part in the United Nations-sanctioned coalition during the Gulf War in 1991, deploying two ships, the Piast and Wodnik, and a medical team (see pl:PKW Zatoka Perska (1991)). In 1994–95 53 GROM special forces personnel were despatched to Haiti for Operation Uphold Democracy. After January 1990 the name of the armed forces was changed to 'Armed Forces of the Republic of Poland,' to accord with the Polish State's new official name. Polish military interventions since 1990: Gulf War, Operation Uphold Democracy, War on Terror and Operation Serval. In March 2003 the Polish Armed Forces took part in the 2003 invasion of Iraq, deploying special forces and a support ship. Following the destruction of Saddam's regime the Polish Land Forces supplied a brigade and a division headquarters for the 17-nation Multinational Division Central-South, part of the U.S.-led Multi-National Force – Iraq. At its peak Poland had 2,500 soldiers in the south of the country. Other completed operations include 2005 'Swift Relief' in Pakistan, in which NATO Response Force-allocated personnel were despatched. Polish Land Forces personnel sent to Pakistan included a military engineers company, a platoon of the 1st Special Commando Regiment, and a logistics component from the 10th Logistics Brigade. Elsewhere, Polish forces were sent to MINURCAT in Chad and the Central African Republic (2007–2010). As of 2008, Poland had deployed 985 personnel in eight separarate UN peacekeeping operations (the United Nations Disengagement Observer Force, MINURSO, MONUC, UNOCI, UNIFIL, UNMEE, UNMIK, UNMIL, and UNOMIG). A new joint operational headquarters, the Dowodztwo Operacyjne (DO) was planned to declare its initial operating capability on 1 January 2005, and full operational capability on 1 July 2005. The DO was created on 22 October 2003, with the first officers being assigned in the second quarter of 2004. Most of the headquarters' 110 military staff were planned to be transferred from the 1st Mechanised Corps headquartered at Bydgoszcz, which was disbanded in 2004. Formerly organised according to Warsaw Pact standards, the armed forces are currently being reorganised according to NATO standards. 'Eagle Guardian' is apparently the NATO planning designation for contingency plans to deploy and defend Poland and the Baltic states. Poland is also playing an increasingly larger role as a major European peacekeeping power in the world through various UN peacekeeping actions, and cooperation with neighbouring nations through multinational formations and units such as the Multinational Corps Northeast and POLUKRBAT. As of 1 January 2010, the Armed Forces of the Republic of Poland have transitioned to a completely contract-based manpower supply system. On 10 April 2010 a Polish Air Force Tu-154M crashed near Smolensk, Russia while in transit to a ceremony commemorating the Katyn massacre. On board the plane were the President (Commander-in-Chief), the Chief of Staff, all four Branch Commanders of the Polish Military, and a number of other military officials; all were killed. However, the Minister of Defense stayed in Warsaw, avoiding the crash in the process. In 2014–2015 the Armed Forces General Command and Armed Forces Operational Command were both established, virtually eliminating the single services. Leopard 2A5 main battle tank. As of 2011, the Armed Forces are in the middle of a long-term modernisation programme. Immediate plans involve new anti-aircraft missile systems, ballistic missile defence systems, a Lead-In Fighter Trainer (LIFT) aircraft, medium transport and combat helicopters, submarines, unmanned aerial vehicles, as well as self-propelled howitzers. Technical modernisation plans for the years 2013 through to 2022 have been put in place. During the 2013 to 2016 period of the plan, 37.8 billion PLN, or 27.8% of the period's military budget of 135.5 billion PLN was invested into technical modernisation. Significant military equipment acquisitions are also planned for the upcoming 2017 through 2022 period of the 2013–2022 technical modernisation plan, with the Ministry of Defense outlaying 61 billion złoty to be spent over the six-year span. A major feature of the program is the acquisition of around 1,200 unmanned aerial vehicles, including at least 1,000 with combat capabilities. Additionally, new helicopters and air defense systems are to be procured along with five light vessels for the navy. A new submarine force is to be jointly operated with a NATO partner, and general upgrade and modernization efforts are aimed at the country's air defenses, naval forces, cyber warfare capabilities, armored forces, and territorial defense forces (to have 50,000 volunteer members). W-3 Sokol Mi-8/17 to be replaced. Mi-8 was replaced by new 8 combat SAR helicopters for Special Forces in 2017. Poland has several ongoing acquisition efforts for firearms. The largest in quantity is the continuing delivery of FB Beryl and Mini-Beryl assault rifles of which over 28,000 are on order. Adopted in 1997, these weapons are continuing to replace Cold War-era infantry rifles that can still be found in some formations and stockpiles. Even with deliveries continuing, the military is developing a next-generation service rifle, the FB MSBS, which would be configurable for a number of different roles, including assault rifle, carbine, sniper rife, squad light machine gun, and perhaps even a combat shotgun. Sniper rifle acquisitions include 60 Bor rifles on order plus a planned acquisition of 250 new designated marksman rifles to replace the SWD. Modernization is planned for the machine gun arsenal with 368 UKM-2000P on order. A major program to purchase 50 Eurocopter EC725 Caracal helicopters was announced in 2015. This would replace the Mi-8 and Mi-14 in service at a cost of PLN13.3 billion. However, in October 2016, Poland dropped out of offset negotiations prior to concluding the deal. The Defence Minister announced plans to instead purchase an initial two Sikorsky S-70 Black Hawk helicopters to be built in Poland, with another eight planned for 2017. This however was amended later in October, and an invitation given to Airbus Helicopters, Sikorsky, and Leonardo-Finmeccanica to enter discussions on providing helicopters. By December, the Ministry of Defence had officially launched a tender to procure fourteen military helicopters to meet urgent requirements. Separately, to arm new helicopters, plans have been laid to acquire as many as 100 Miniguns. The Polish Armed Forces are the only military entity in the world to use a two-finger salute which is only used while wearing a hat (it refers to the fact that the salute is given to the emblem itself) with the emblem of the Polish eagle, such as military hat rogatywka. The salute is performed with the middle and index fingers extended and touching each other, while the ring and little fingers are bent and touched by the thumb. The tips of the middle and index fingers touch the peak of the cap, two fingers supposedly meaning Honour and Fatherland (Honor i Ojczyzna). ^ Ministry of National Defence, Defence Strategy of the Republic of Poland Archived 2011-09-04 at the Wayback Machine, Warsaw, 2009. Strategic defence goals, p.7-8. ^ "Chapter 5. The Polish contribution to the liberation of the Netherlands (1944–1945)". Polish forces in the West. Retrieved 2016-01-10. ^ (in Polish) Wojsko Polskie we Francji. Świat Polonii. Sources give estimates that can differ by few percent. ^ Michta, 1990, p.62. Michta's footnote emphasises that Spychalski would not have been the right officer to have in charge of the Armed Forces of the People's Republic of Poland during the invasion. ^ "Polish observers leave North Korea via Beijing". AP. 9 March 1995. Retrieved 3 June 2016. ^ SWiSH v2.0. "Wojskowe misje ONZ z udziałem Polaków" (in Polish). Skmponz.w.interia.pl. Archived from the original on 2011-11-17. Retrieved 2011-11-20. ^ ":: Ministerstwo Obrony Narodowej – serwis internetowy :: Uzbrojenie ::". Mon.gov.pl. 2012-03-21. Archived from the original on 2012-03-02. Retrieved 2012-04-17. ^ a b "Technical Modernisation of Polish Armed Forces 2013–2022". www.defense-aerospace.com. Retrieved 2017-02-16. ^ "Poland To Spend $14.5 Billion For Military Procurement From 2017–2022". Defense Talk.com. 7 Dec 2016. Retrieved 7 Dec 2016. ^ a b Ministry of National Defence. ":: Ministerstwo Obrony Narodowej – serwis internetowy :: Uzbrojenie :: Archived 2012-03-02 at the Wayback Machine". ^ Glowacki, Bartosz. "Poland to launch attack helicopter talks with bidders." Flight International, 7 October 2015. ^ "Poland drops Caracal Helicopter talks with Airbus" Defense News, 5 Oct 2016. ^ "Poland launches tender for 14 army helicopters – ministry". Reuters. 1 Dec 2016. Retrieved 7 Dec 2016. Rafał Domisiewicz, Consolidating the Security Sector in Post-Conflict States: Polish Lessons from Iraq, Austrian Ministry of Foreign Affairs. Andrew A. Michta, Red Eagle: The Army in Polish Politics 1944–1988, Hoover Press, 1990. Wikimedia Commons has media related to Military of Poland. The European theatre of World War II opened with the German invasion of Poland on Friday September 1, 1939 and the Soviet invasion of Poland on September 17, 1939. In the face of overwhelming forces of opponents and the betrayal of its allies, the Polish Army was defeated after more than a month of fierce fighting. Poland never officially capitulated. After Poland had been overrun, a government-in-exile, armed forces, and an intelligence service were established outside of Poland. These organizations contributed to the Allied effort throughout the war. The Polish Army was recreated in the West, as well as in the East. The Polish Air Force is the aerial warfare military branch of the Polish Armed Forces. Until July 2004 it was officially known as Wojska Lotnicze i Obrony Powietrznej. In 2014 it consisted of roughly 16,425 military personnel and about 475 aircraft, distributed among ten bases throughout Poland. The Land Forces are a military branch of the Armed Forces of the Republic of Poland. They currently contain some 77,000 active personnel and form many components of European Union and NATO deployments around the world. Poland's recorded military history stretches back a millennium – since the 10th century, but Poland's modern army was formed after the country regained independence following World War I in 1918. The National Defence University of Warsaw was the civil-military highest defence academic institution in Poland, located in Warszawa-Rembertów. In 2016 it was succeeded by the War Studies University. The PZL W-3 Sokół is a medium-size, twin-engine, multipurpose helicopter developed and manufactured by Polish helicopter company PZL-Świdnik. It was the first helicopter entirely designed and produced in Poland. Military Information Services was a common name for the Polish military intelligence and counter-intelligence agency. 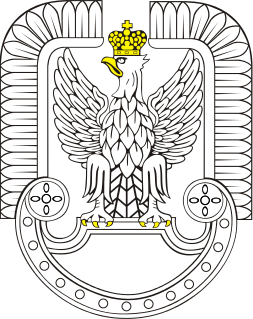 The agency was created in 1990 after the Revolutions of 1989 ended the Communist regime as a merger between the former Communist agencies Internal Military Service and the Second Directorate of General Staff of the Polish Army. The combined agency was originally known as the Second Directorate for Intelligence and Counter-intelligence ; it was renamed to WSI in 1991. At first, all commanding and upper-level officers—and most of the employees—had direct personal and career links with the former Communist regimes of Poland and the Soviet Union. Museum of the Polish Army is a museum in Warsaw documenting the military aspects of the history of Poland. Created in 1920, it occupies a wing of the building of the Polish National Museum as well as several branches in Poland. It's Warsaw's second largest museum and the largest collection of military objects in Poland. The collection illustrates a thousand years of Polish military history - from the 10th century to the Second World War. The Armenian Army is the largest branch of the Armed Forces of Armenia and consists of the ground forces responsible for the country's land-based operations. It was established in conjunction with the other components of Armenia's military on January 28, 1992, several months after the republic declared its independence from the Soviet Union. The army's first head was the former deputy commander-in-chief of the main staff of the Soviet Ground Forces, Norat Ter-Grigoryants. The Polish People's Army constituted the second formation of the Polish Armed Forces in the East in 1943–1945, and in 1945–1989 the armed forces of the Polish communist government of Poland. The communist-led Polish armed forces, allowed and facilitated by Joseph Stalin, were the result of efforts made in the early 1940s by Wanda Wasilewska and Zygmunt Berling. Jerzy Włodzimierz Świrski was a Polish vice admiral and officer in the Russian Imperial Navy and later the Polish Navy. As Chief of the Polish Naval Command (1925-1947), he was a member of an elite group of high ranking Polish naval officers from foreign navies who became founder members of the re-established naval forces of the newly independent Poland after World War I. During World War II, Polish naval forces under his command, were embedded with the Royal Navy and contributed significantly to the success of Britain's maritime war effort. He notably fell out with Poland's war time Prime Minister-in-exile, General Sikorski, but was backed by the British and survived in post. He was awarded the Order of the Bath. The Polish Navy is a military branch of the Polish Armed Forces responsible for naval operations. The Polish Navy consists of 48 ships and about 12,000 commissioned and enlisted personnel. The traditional ship prefix in the Polish Navy is ORP. The Pomeranian Military District was a military district of the Polish Armed Forces from 1945 to 2011. Formally it was subordinate to the Minister of National Defence in the operational matters of defense and detached government administration. The district command headquarters was at Torun (1945–1946), Bydgoszcz, Gdańsk, Koszalin, and then at Bydgoszcz. From 1947 to 2007 1 Gen. J. Dwernicki Street, from 2007 to December 2011 105th Szubinska Street. The Territorial Defence Force - TDF is the fifth military branch of the Polish Armed Forces, following Land Forces, Air Force, Navy and Special Forces. The force is made up of professional and part-time volunteer soldiers, forming part of the country's defence and deterrence system. Began forming in 2016, it has reached 17,200 by January 2019 and is slated to reach a size of 53,000 personnel in 17 light infantry brigades by 2021. Creation of Polish TDF relates to the reforms in Baltic states' Territorial Defence Forces to provide response during the early stages of a hybrid conflict.